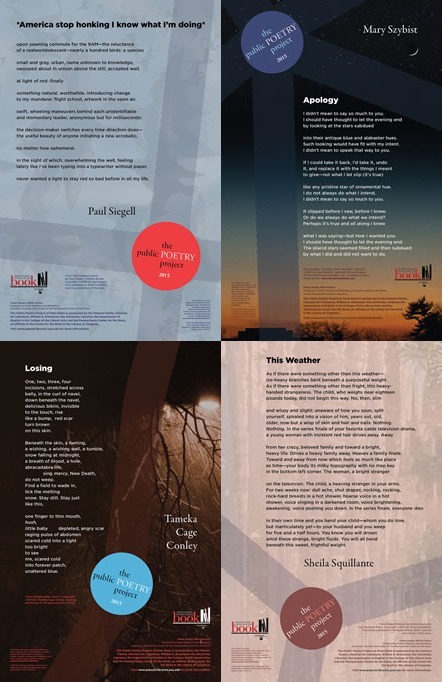 2015 Poetry Posters designed by Wilson Hutton. 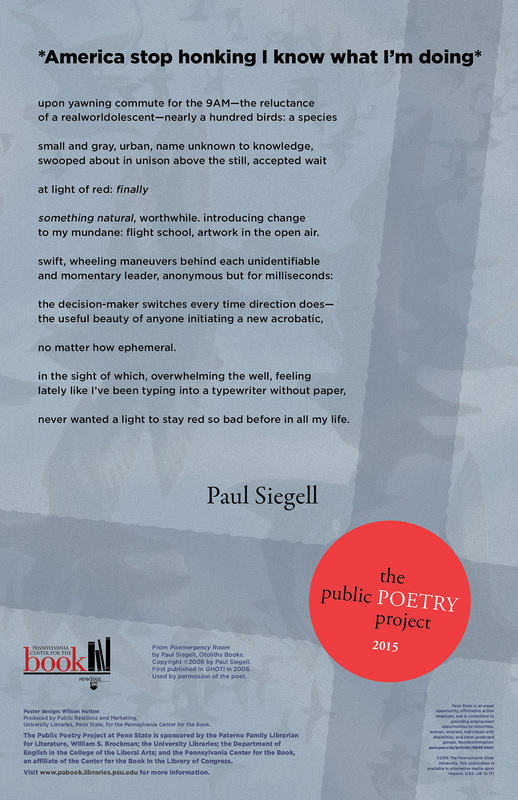 "Taut and inventive, Paul Siegell...captures the restlessness and richness of our situation: busy but often stalled in traffic, hungry for some communication with a larger consciousness but deeply skeptical about final meanings." "Mary Szybist's marvelously constructed 'Apology' makes perfect use of the villanelle form. 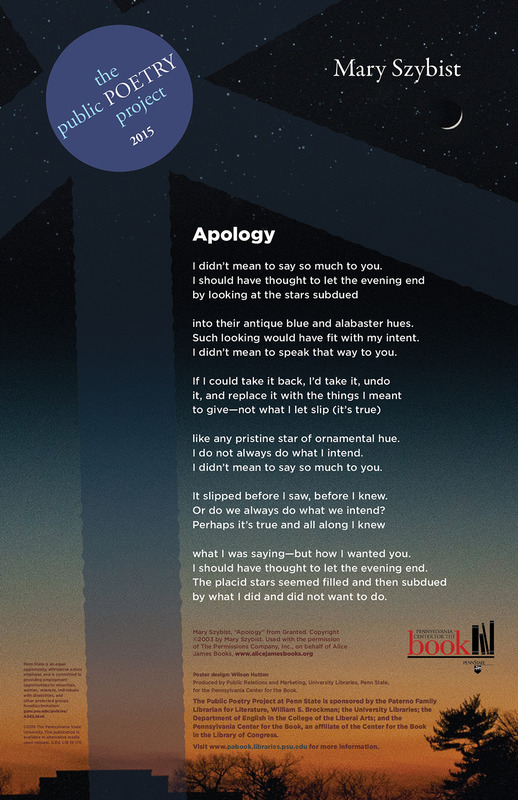 The interlocking rhyme and repetition of lines emphasize the very nature of apology: the dreadful back-and-forth between what was said and what should have been said." 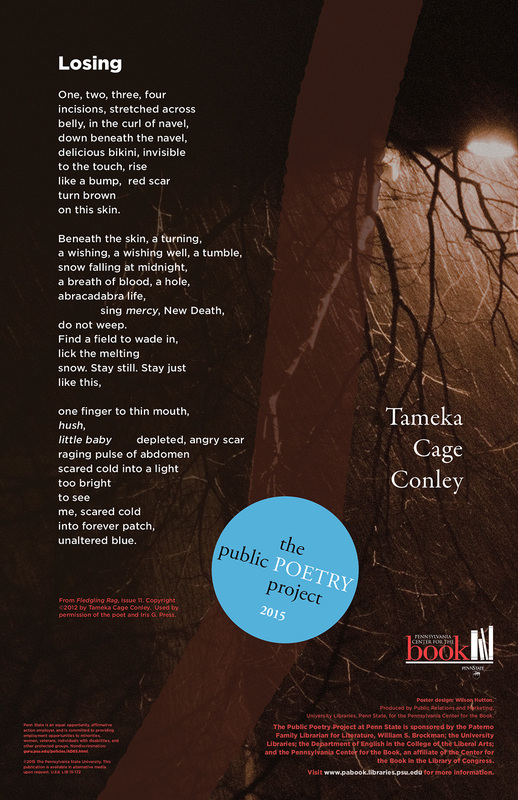 "With 'Losing,' Tameka Cage Conley creates a masterful poem that understands with grief it is the image that whispers loudest. With each image we experience the desolation of loss, the even greater emptiness of the unknowable future." 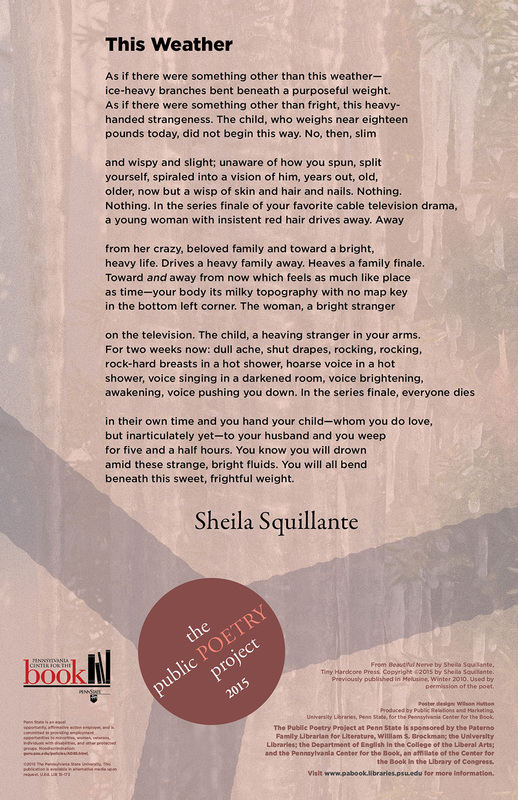 "'This Weather' is a poem full of love, ache, and desire's freighted duties, the 'heavy-/handed strangeness' that can arrive suddenly, surprisingly, between parents and children."